Muslims have turned out in force at the Cathedral mosque of Moscow to give blood for a children’s hospital in the capital. Those who took part, representatives of the “Hope” fund and the department of charity and social support of the Islamic organisation, say they plan to hold regular blood donation days. The initiative has caused great interest in the Muslim community, mainly because “dozens of people have taken part in the action without any corresponding propaganda,” muftis said. “Only those who have reached the age of 18 and have all appropriate documents, including Moscow registration, were allowed to donate their blood. Participation of doubtful individuals without corresponding documents and recommendations is completely excluded”, a statement from senior Muslim clerics said. They added that the medical workers would never allow a doubtful person to give blood at a mobile transfusion point. 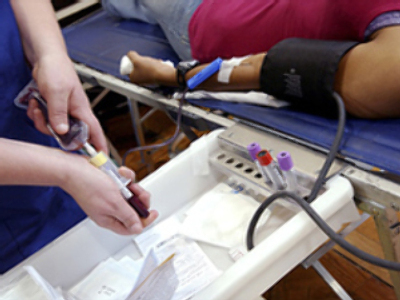 According to medical workers, most of the blood donated in Moscow comes from mobile stations rather than the permanent donor centres. Spotlight: Crisis to hit charities?